Finding the right gift for a cancer patient may seem like a daunting task. Most cancer patients have unique needs that are often unsatisfied by the more traditional get well soon gift market. If you’re looking for a starting place so you can find a gift for the cancer patient in your life, these ideas can help. If the recipient will be undergoing treatment in the near future, the chances are good that he or she will lose most, if not all, hair, and hats can be a lifesaver. Go with something cute you know the individual will love like chic baseball caps, warm winter hats, or big floppy sunhats that fit the person’s tastes and sense of individuality. 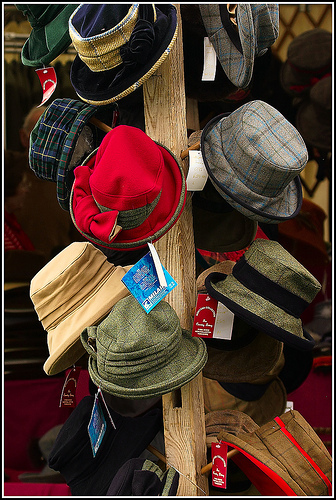 If you can’t find a hat you know the person will love, think about a gift certificate to a local or online hat shop where he or she can pick out the right hat. The soft warmth of a fleece pillow, blanket, or robe is the perfect gift choice for a cancer patient. The treatment rooms can often be cold, and during those longer days at home, it can be difficult to stay warm or get as cozy as possible. Fleece is always a good choice because it’s so soft and warm. Find a color or pattern he or she likes, then get as much fleece as possible! From going to the movies to downloading new songs or apps on a smartphone, you can never go wrong with gift certificates as a get well gift. Just be sure you zero in on something the recipient can currently use and will love. The hours of treatment can get long and frustrating, and having an ebook or an audio book along can help to pass the time a bit. If you’re not sure what authors or genre the recipient might like, you may want to go with a gift certificate or a subscription to a service like audible.com so you don’t get a book he or she may have read or disliked in the past. Cancer patients would love to have all sorts of things done for them. From cooking dinner to picking up the kids at school to cleaning the house, consider a book of homemade coupons to help out. Offer to rake up those fall leaves, take the individual for a Sunday drive, or come over for a late night movie and snack. While you may tend to want to offer food, scented candles, or even luxurious lotions to help the cancer patient in your life pamper a bit more, most of those things are questionable gifts if the individual is still in treatment. Radiation and chemo can make an individual feel nauseous at the slightest scent or suggestion of food, so if you’re insistent on items like those, make sure you talk to the person or someone close to him or her so you know what’s working for the individual right now. Pinkchic18 is a writer with an interest in gift giving and family life. She also regularly contributes to the All About Gifts & Baskets Idea Blog, where you can find more creative ideas for get well gifts.